Magical river valleys, rolling hills and dramatic peaks make the Brecon Beacons an ideal camping destination. Networks of footpaths and cycle trails are webbed across the national park and at any campsite you will have good routes on your doorstep. 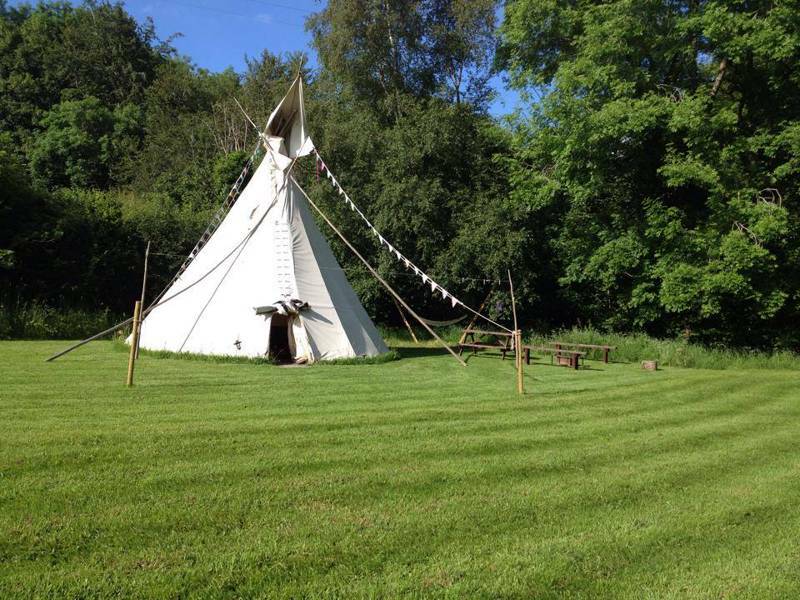 Whether you’re after luxury glamping, somewhere to park your campervan or a simple clearing for your tent as you hotfoot across the countryside, we’ve got it covered. Browse our hand-picked selection of the best campsites in the Brecon Beacons or use the filters tab to refine your search further. The Cool Camping team have scoured the dramatic landscapes of Powys for the best campsites in the Brecon Beacons National Park. There are 520 square miles of mountains and waterfalls, rolling hills and green river valleys, so it’s not surprising that our collection of camping and glamping sites in the park are all incredibly scenic. And while the national park designation protects the land, another protection is in place for the night-time skies. The park is classified as an International Dark Sky Reserve which recognises the efforts made to limit pollution and protect the starry, starry skies above – great news for campers who enjoy a spot of stargazing. 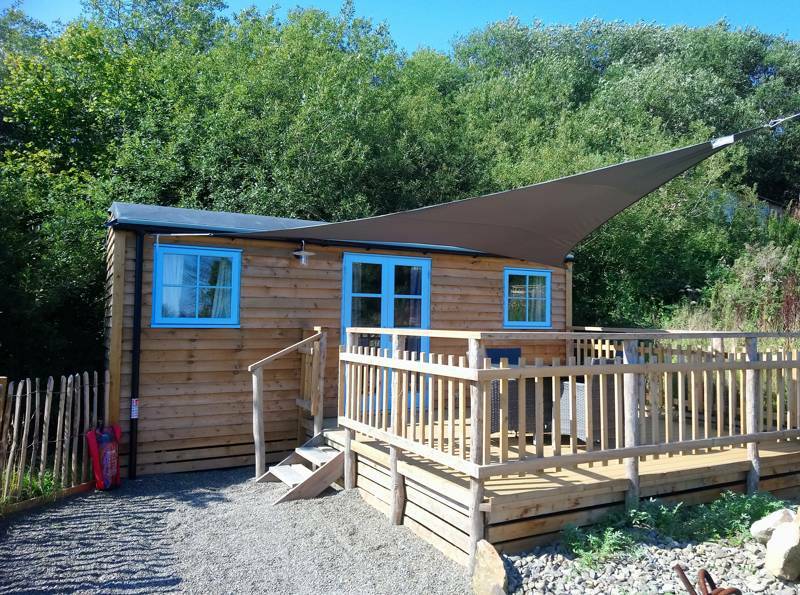 Stays in the Brecon Beacons are all about the great outdoors during the day too and there’s a host of ways to make the most of the landscape from walking to white-water rafting, climbing to caving – not forgetting camping and glamping, of course. You can easily spend your days here on a non-stop, action-packed adventure holiday but there are old-fashioned villages, pretty market towns and plenty of sights and attractions to visit too. 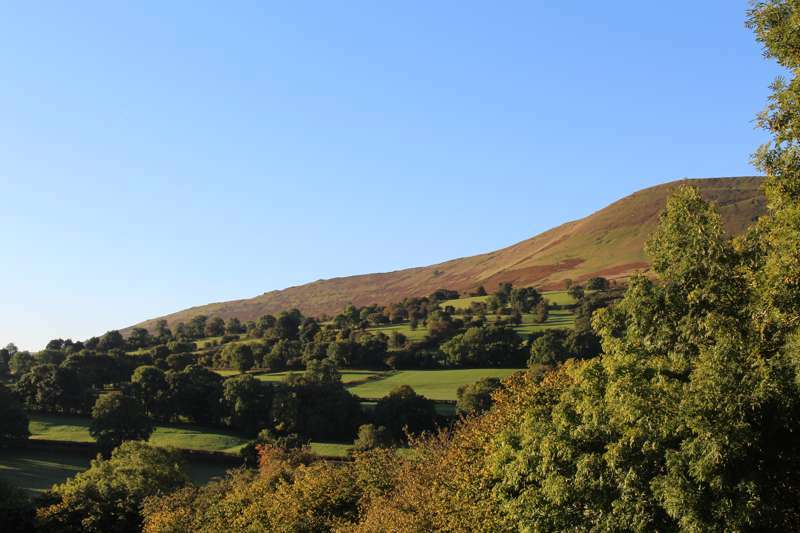 Whether you’re hoping to scale Pen-y-Fan, relax in beautiful scenery or visit some of the area’s attractions, camping and glamping are great ways to stay in the Beacons. The Brecon Beacons is one of the UK’s 15 national parks and that makes it among the top places in the country to pitch a tent. The hills, mountains, waterways and farmland can make for pleasing views from your campsite. And with a well-developed network of footpaths and cycle trails, it’s a great place to make the most of the great outdoors. It was awarded its national park status in 1957, and classic camping in tents has been a popular way to stay here ever since. Lots of the more-established campsites are set up in farmers’ fields that are close to popular places to visit and well-trodden walking routes. The Beacons attracts runners, serious walkers and peak baggers who want to conquer the national park’s highest peak, Pen-y-Fan, as well as climbers and cavers looking to explore the limestone caves and outcrops. These adventurers help ensure there is a steady demand for classic camping sites in areas that offer easy access to some of the best parts of the national park. That’s not to say that all of the Beacons’ campsites are back-to-basics backpacker sites though; there are plenty of family-friendly sites with first-class facilities too. 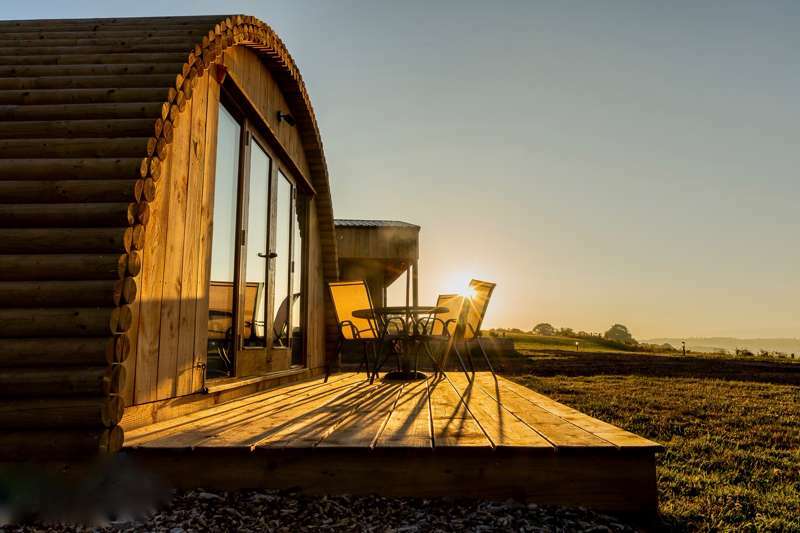 If it’s first-class camping you’re after, you may just have strayed in to glamping territory. Alongside all the classic campsites, there’s a handful of glamping accommodation in the Brecon Beacons too. 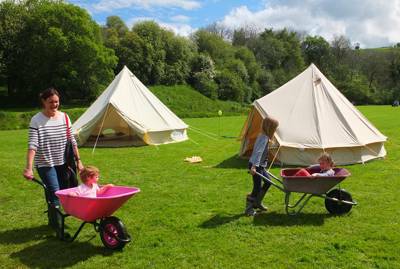 Look out for bell tents, tipis, yurts or safari tents if you’d like to glamp under canvas. Try a pod, cabin or shepherds’ hut if you want a little more protection from the Welsh weather or are thinking of a winter mountain getaway. Glamping is the perfect compromise between camping and staying in a hotel or self-catering cottage. You can get out of town and in to rural locations where development might not be allowed, but don’t have to pitch your own tent. If you’re a family or couple who are divided in your love of camping, glamping can satisfy all the demands; the freedom of camping with none of the hassle. It’s also a perfect way for first-time campers to test the waters without having to buy all the gear. The Brecon Beacons is an adventurers’ paradise with opportunities on land and water. Whether you’re a serious runner looking for your next competition or training ground, cyclist, kayaker, caver, climber or long-distance walker you’ll find suitable challenges in the Brecon Beacons. But it’s not just a place for experienced explorers and adventurers, there’s plenty of family-friendly activity too and there are outdoor pursuits companies and instructors to help you find your way. While Snowdonia National Park claims the highest peaks in Wales, the Beacons offers a more accessible location for most – with its eastern edge on the border with England. It also has plenty of peaks across four mountain ranges: the Central Beacons (after which the park is named) and the Black Mountains in the east of the park and the Fforest Fawr massif, and the (similarly named) Black Mountain Range in the west. One of the most popular things to do is to hike or run to the 833-metre summit of Pen-y-Fan but with 2,000 miles of footpaths across the park there’s lots more to choose from. Navigate your own route or follow some of the waymarked trails. The Beacons Way is a 99-mile route running east-to-west through the park and Offa’s Dyke Path dips in to the park as it traces the Welsh-English border. There’s more level walking along the tow paths of the Mon and Brec Canal, which joins the longer-distance Taff Trail. This 55-mile route which links to Cardiff largely follows old railway lines and makes for pleasant cycling too. To see some of the park’s beautiful waterfalls, you can follow the five-mile Four Falls Walk. The Brecon Beacons claims some of the best mountain biking terrain in Wales and the activity hubs of Brecon and Crickenhowell are the places to find out about the best routes. There are plenty of climbing hotspots too – these tend to be in the south of the park, along the limestone ridge which is also home to the cave systems that make potholing and caving so popular here. Kayaking, canoeing and paddleboarding for beginners can be enjoyed on the canal with the faster flowing Rivers Usk and Wye home to some higher-graded waters for more-experienced paddlers. The Brecon Beacons National Park website has information on all these active adventures and more. There are lots of scenically-situated villages in the Beacons with most of the larger towns around the edges of the national park. Crickhowell is the exception and is located in the heart of the park, connected to Brecon on the northern edge and Abergavenny on the southern side by the A40. Crickhowell is a walking hub with plenty of outdoors shops, walking routes passing through the town and an annual walking festival in March. But for many people, Abergavenny, six miles south of Crickhowell, will be the first Beacons' town they come across. Situated on the very southern boundary, it is known as the gateway to the national park. It’s a bustling market town with a pretty centre and an annual food festival – a great place to pick up supplies. It has a ruined 11th-century castle you can look around too. At the other end of the A40 artery through the eastern end of the national park; Brecon is another town with independent shops and outdoor retailers. Here, they operate out of the pretty Georgian buildings of the town centre. It’s got art galleries, small museums and plenty to keep you occupied on rainy days too. And its canal basin is the launching point for cruises down the Mon and Brec Canal or walks along its towpath. It’s also the starting (or finishing) point of the Taff Trail, a 55-mile walking and cycling route through the mountains to the coast at Cardiff. From Brecon it’s 15 miles east to another Beacon gateway town: Hay-on-Wye. Situated on the very north-eastern tip of the national park, Hay-on-Wye is known as a town of books with lots of second-hand book shops lining its streets and a famous literary festival. 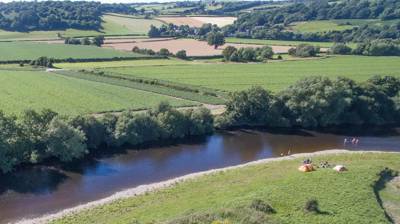 It’s also on Offa’s Dyke National Trail, which traces the Welsh-English border, and, as the name suggests, on the banks of the River Wye. Over on the western edge of the national park, Llandeilo in the Towy Valley is an attractive town that was once an ancient capital of Wales – with the nearby Dinefwr Castle a reminder. A visit to the Brecon Beacons National Park Visitor Centre in Brecon will set you up for your stay as it provides maps and information – not to mention a tea room and views of Pen-y-Fan. While you’re in town, you can pick up camping supplies and maybe pay a visit to the cathedral and canal basin. There are plenty of attractions in and around Brecon including the Cantref Family Farm, three miles outside town, where a mixture of farmyard and fun are likely to be a hit with the kids. Another family favourite, this one on the south side of the park, is the Brecon Mountain Railway – offering the chance to see the scenery without having to pull on the hiking boots. The subterranean world is revealed at The National Showcave Centre of Wales, where you can explore part of an underground cave system discovered by two farmers in 1912. The site has a range of other attractions too, including one of Europe’s largest dinosaur parks. You can also go underground at The Big Pit, the National Coal Museum, to find out about Welsh industrial history. But most of the attractions in the Brecon Beacons are the natural ones that cost nothing to visit, from the peaceful Vale of Ewyas to the rushing waters of Henrhyd Falls and from deep in the Usk Valley to high on Pen-y-Fan. 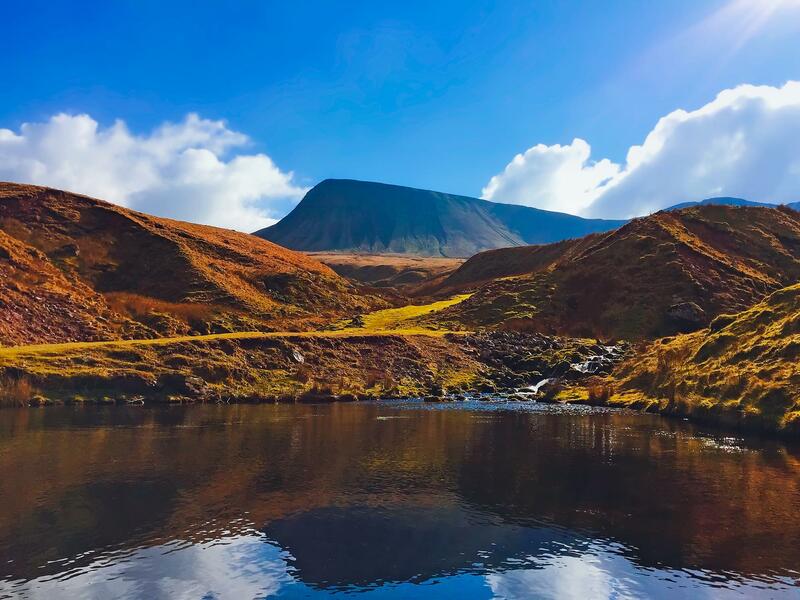 Brecon Beacons at Campsites in the Brecon Beacons National Park, Discover the mountains, hills and lakes of the Brecon Beacons with a camping holiday and find the best outdoor places to stay here. 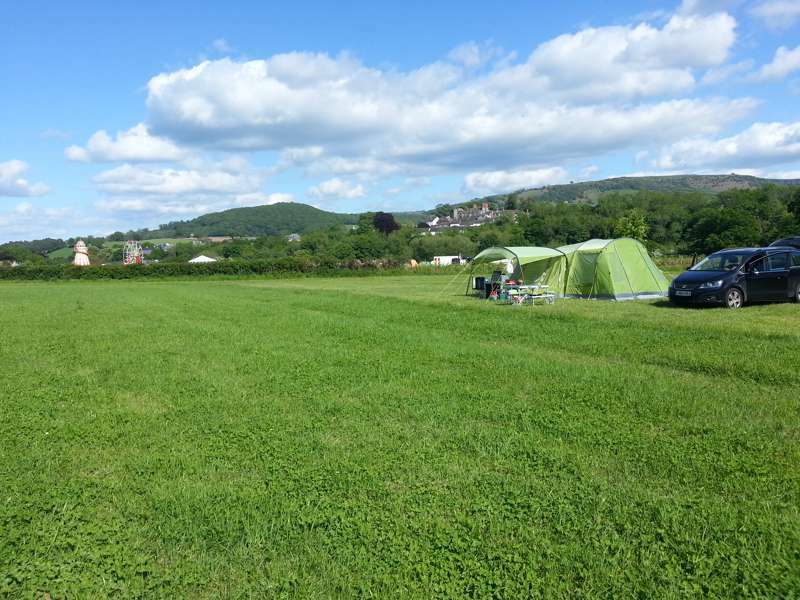 Chosen by the expert Cool Camping team, this collection of extra special Brecon Beacons campsites includes dog-friendly campsites, woodland campsites, tent-only campsites and campsites where campervans are welcome too. All have been specially recommended by Cool Camping’s experienced authors and can be booked online at the very best price. Going on a camping holiday in the Brecon Beacons? You’ve come to the right place.